The German government and the one in Paris have agreed to a compromise regarding North Stream 2. This pipeline is supposed to deliver natural gas from Russia directly to Germany, via the Baltic Sea. When completed, it will be connected to the existing European pipeline network. It looks like the agreement does complicate the huge project, but might save it at the same time. France, Germany’s closest partner in the E.U., had been getting ready to oppose Germany’s aim to change E.U. guidelines for gas pipelines. The French had wanted to add several restrictions. But then, suddenly, they agreed to Berlin’s course. At this stage, Brussels regulated parts of the existing pipelines, but only within the European Union’s territory. In future, the country in which the pipeline hits E.U. ground is supposed to be responsible for the stretch from the exporting country as well. But the compromise reached, and the entire North Stream 2 project, still include a number of issues which need to be resolved. According to existing guidelines, exporters of natural gas are not supposed to own the pipelines they are using to transport it. In the case of North Stream 2, Russia’s Gazprom has those two roles. So far, no solution to this problem is in sight. Some German politicians, conservatives, liberals and Greens, oppose North Stream 2. They do not want to depend on Russian gas. Besides, certain E.U. countries fear that they might earn less with existing pipelines leading through their territories. The same applies to Ukraine, which also has good reasons to fear Moscow. Yet another issue is the fact that the United States want Europe to refrain from buying all of this Russian gas. Washington would prefer American fracking companies to sell natural gas to Europe. But American gas is far more expensive. 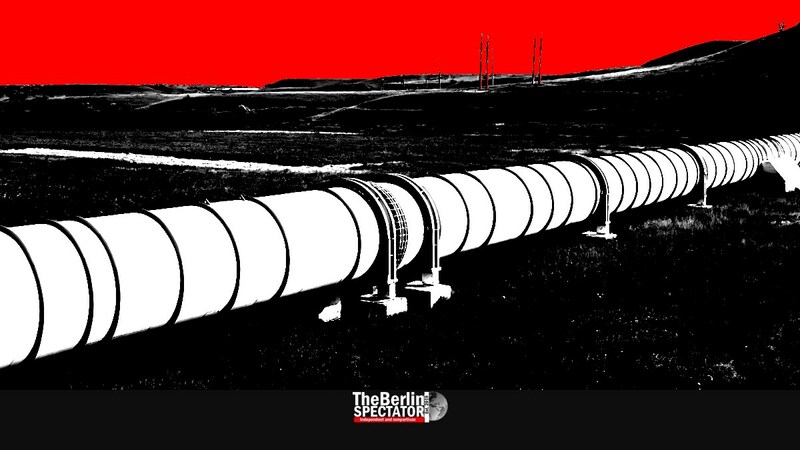 The fact that part of North Stream 2, a stretch of 68 kilometers (42 miles), has already been built does not really help those who are opposing the pipeline. Some of them still hope the project will be stopped. There are serious problems. The only ray of light for supporters is the fact that the ambassadors of all E.U. countries except for Bulgaria have agreed to the Franco-German compromise. Germany will soon be scrapping two energy sources: coal and nuclear power. It badly needs natural gas and will import it from wherever it can, including Russia. Some 13 percent of the country’s electricity is being generated using gas. In the heating sector, gas accounts for 50%. There are more natural gas exporters, such as The Netherlands and Norway. But Russia keeps on increasing its share. In 2017, Gazprom sent more than 67 billion cubic meters. At this stage, the supporters of North Stream 2 are optimistic. They are hoping the project can be completed by the end of this year, as originally planned. The new pipeline would double the amount of gas Russia can export through the Baltic Sea. North Stream 1 has been operational since 2011. Gazprom has one prominent German who has been working on this project for a long time. Former Chancellor Gerhard Schröder, a social-democrat, is also a close friend of Vladimir Putin.